As chiropractors we know that advice on sleeping posture and buying a supportive bed may help prevent unnecessary aches and pains. 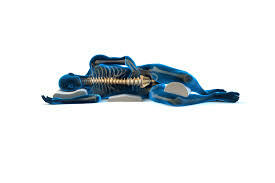 New research from the British Chiropractic Association (BCA) and Sealy beds reveals that neck or back pain has prevented nearly half (48%) of people from sleeping. Despite complaining of back and neck pain occurring after sleep, most people don’t think that getting in and out of bed is important to their back health. In fact, disc injuries are more likely to occur with bending movements first thing in the morning. As you sleep, the discs in your back hydrate and increase in size. This makes the disc fibres more susceptible to injury. Try and avoid bending movements for the first hour after waking. At Shrewsbury Chiropractic we can recommend some gentle stretches you can do in the morning. The findings come as the 24th annual National Bed Month gets underway, prompting the BCA to urge people to pay more attention to their bed and indeed the way they get in and out of it, particularly as over a third (36%) of people reported not to have even considered their neck or back when they last bought a new mattress. Neil Robinson, Marketing Director of Sealy UK, comments: “An important part of a good night’s sleep is a supportive mattress. You should change your mattress every seven years and if you’re in pain at night, it might be that you need to buy a new one. If you are buying a new mattress, it’s vital to try it before making the purchase – you wouldn’t buy a pair of shoes without trying them on and mattresses are no different, especially as we all spend such a large amount of our lives in bed. 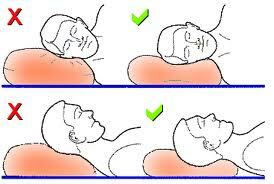 • Adopt a good sleeping position: Lie on your side rather than lying on your front with your neck twisted to one side.